The GV-VR605A is a voltage regulator designed to be installed in the car and supply power to GV-Video Server and its connected cameras. The GV-VR605A is capable of maintaining a 12V voltage to the GV-Video Server and its connected cameras, providing protection against voltage spikes when you turn on the car ignition. After you turn off the car ignition, the GVVR605A will continue supplying power to the GV-Video Server for 75 seconds during which GV-Video Server will stop recording, remove the hard drive from the system and then turn off automatically. 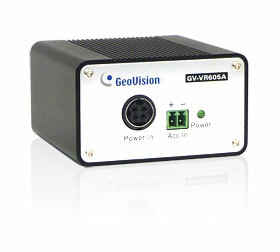 The GV-VR605A features 5 power outputs to power the GV-Video Server and its connected cameras.